I feel like there are a few milestones every writer must hit to truly feel like a millennial writer. You have to start a blog. You have to publish on a lit website that you and your friends think is cool but that your parents have never heard of. You get your first paid writing gig–sure it’s barely enough to cover a night of drinks out in NYC, but it’s actual proof someone thought your writing was good enough to pay you for it. The most recent milestone I’m going to hit as a twenty-something, Brooklyn writer happens right now. For the first time, I’m asking people to contribute to a Kickstarter campaign. For those of you who don’t know the website (you probably aren’t friends with struggling artists), Kickstarter helps fund projects by crowd-sourcing donations. You can fund almost anything on Kickstarter, from movies to the first vegan butcher shop (I was very excited to learn about this one). 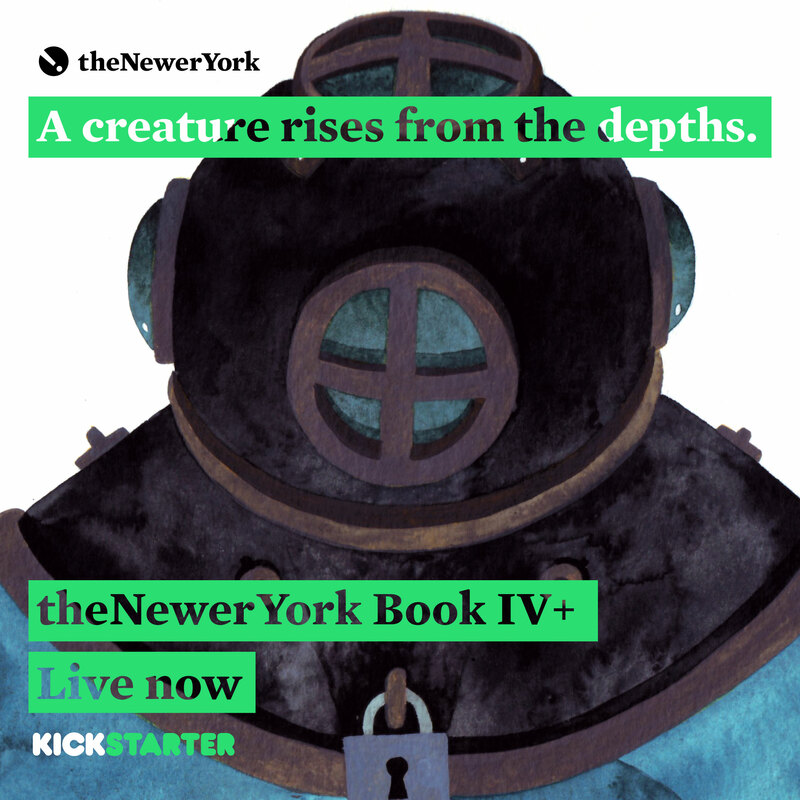 The Kickstarter campaign I’m asking people to contribute to is for a book, of course. I have been so excited and inspired working with theNewerYork, and I can’t wait to continue. If the book is fully funded, there will be many amazing events to support its launch, including literary carnivals on both coasts (I’ll read at the NYC event). You can check out the Kickstarter page here. There are a ton of great perks for those who donate, from the book itself to swag like t-shirts and totes (I’m particularly fond of the “Stay horny for art” tote bag). Most importantly, there is the opportunity to support print publishing and help keep weird and experimental writing alive. Phew, okay, plea over. I can cross that off my millennial writer bucket list. Next up, create a very important list for Buzzfeed ranking the best corgis of all times.